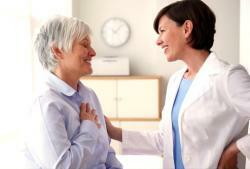 ​In most cases, hearing loss affects both ears about equally. Sometimes, however, a patient may have one ear that has much poorer hearing abilities, known as single-sided-deafness, asymmetric hearing loss, or unilateral hearing loss. The difference between ears could be caused by congenital defects (i.e. from birth), medical pathologies, trauma or sudden deafness. Often, amplification with a hearing device does not provide effective benefits to the poorer hearing ear, due to reduced speech recognition abilities or complete deafness, leaving the patient to rely on their "good ear" for listening in all environments. This can cause a lot of frustration for the patient: consciously positioning their better ear toward conversation partners, inability to localize which direction sounds are coming from, and increased strain to hear well in noisy environments. Fortunately, improvements in technology have helped these patients gain back the perception of hearing well in both ears, with CROS hearing aids. These hearing devices allow the sound from the poorer ear (which is picked up by a transmitter hearing aid) to be transmitted wirelessly to the better ear to be heard by a receiver hearing aid. 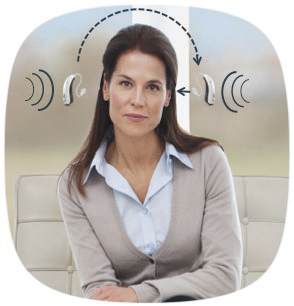 If the better ear has normal hearing, the receiver hearing aid can be programmed to have no amplification, using a "CROS" setup. If the better ear also has hearing loss, a "BiCROS" setup is used to provide amplification to the better ear as well. If you (or a loved one) have difficulty hearing, we invite you to ​schedule a complimentary hearing evaluation and consultation​ at one of our 7 of​fices in the Washington, DC Metro Area.